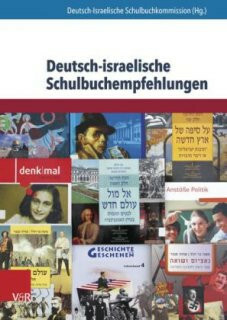 Deutsche und israelische Wissenschaftler legen Empfehlungen zur Darstellung beider Länder in Schulbüchern vorIn time for the fiftieth anniversary of the commencement of diplomatic relations between Germany and Israel, the German-Israeli Textbook Commission issued a new set of recommendations. Over a period of four years, a group of academics, teaching specialists, educational practitioners and policymakers from both countries worked together to analyse depictions of the other country in over 400 history, geography and social studies textbooks in use in Germany and Israel. The recommendations the experts have made on the basis of the analysis seek to promote revisions in the content and educational approaches used in depictions of Israel/Germany in future textbooks; the hope is that these books will contain realistic images of the other country, its history and society. The Israeli-German discussions on textbooks were coordinated by the Georg-Eckert Institute for International Textbook Research in Braunschweig, Germany, and the Mofet Institute of Research, Curriculum and Program Development for Teacher Educators in Tel Aviv.